This excerpt is from a delightful website, Mr. Lincoln and Friends (by The Lincoln Institute), which is filled with primary sources, narratives by people who knew Lincoln, and loads of info. “As soon as he could collect himself and recover from his astonishment, the President thanked the lady, but with evident discompsoure; whereupon some of the party made haste to explain that the Princess Salm-Salm had laid a wager with one of the officers that she would kiss the President,” reported journalist Noah Brooks. Princess Salm-Salm had married up – having graduated from farm girl to actress to circus-rider to the wife of a European noble. She accompanied her Austrian husband, who served as a Union staff officer. In the amusement that followed Mrs. Lincoln forgave Sickles. The general subsequently recouped his status with Mrs. Lincoln and became a frequent visitor to the White House while recuperating from the amputation of his leg at the Battle of Gettysburg. 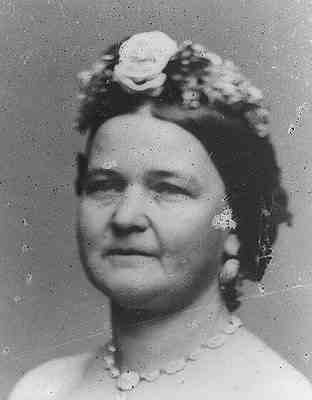 Although Mrs. Lincoln strongly objected to any woman giving her attentions to Mr. Lincoln, she herself enjoyed and encouraged the attentions of many men who attended her salon in the White House Red Room.